There was a time when the hunt for good Bluetooth speakers was a small adventure. They were cheap, they all looked the same, and they had questionable quality. Times have changed. 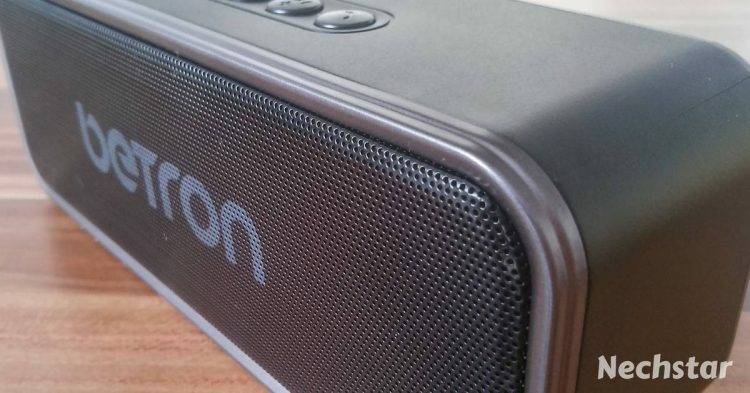 Now, there is a Bluetooth speaker for almost every person, from those who want only the good sound to outdoor freaks and bass heads. And the quality of these devices is surprisingly excellent. In many cases, it is true. Is Betron D51 one of those pleasant surprises? Let’s find out. I spent a whole week with this little portable Bluetooth speaker and I must admit, it is an interesting unit. Before I continue this review, a short disclaimer. The Betron D51 was sending to us for a review from the manufacturer. For review, not to influence our opinions. Betron Ltd is a small-mid size UK company producing and selling audio and sound devices. Over the past years, this company has adopted a low price policy on its products to prove that high quality can be affordable. Betron D51 is one of these products. In the box, you’ll get the speaker, a micro USB charging cable, an instruction booklet, Betron VIP and warranty card. 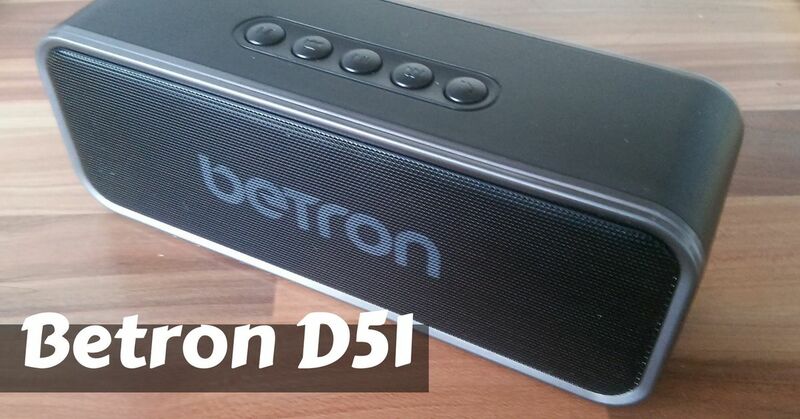 The Betron D51 is a small, compact and simply designed speaker. Don’t expect anything unique, the unit looks very similar to many other portable speakers in this price range. I’m an owner of Anker Soundcore and don’t see many differences in the design. I do not mean anything bad by it. No, the speaker is designed especially to be portable, so the look is not important – the build and materials are. The build quality is sturdy and robust and feels… premium. Yes, at the first touch you feel the quality. On the top of the Betron D51 are 4 buttons for audio controlling and one button for calls. In detail – mode button, previous/volume down, pause/play, next/volume up. In terms of buttons, the little issue I always have is not to use separate buttons for volume up/play next track and volume down/play previous track. 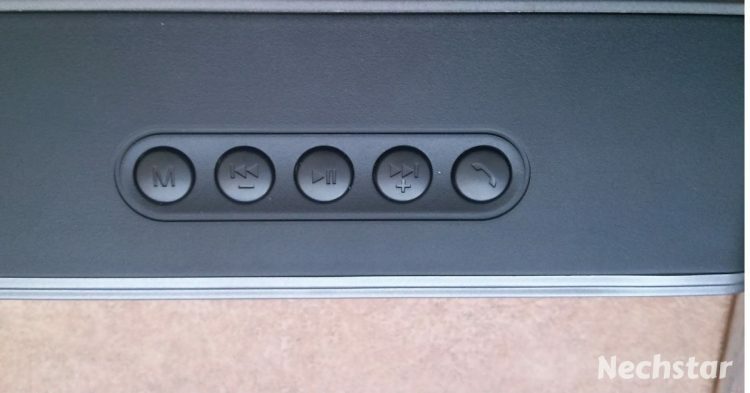 You have to long press to change the volume. Then on the back of the speaker is an Aux input, TF card slot, DC5V input and an On/Off toggle switch. I got around 8 hours on a single charge. It’s worth mentioning that I do all the testing on 70%-80% volume, so if you listen to moderate levels you can probably get it to last even longer. Charging the Betron D51 takes about 3 hours – an average result. Let’s get the party started. The speaker is easy to pair and required no pushing of any buttons, except for turning it on. After you pair the unit with any Bluetooth device, the blue light stops blinking and you are ready to play music. Testing a sound quality shouldn’t be complicated. Your ears are the most important judge. Just play songs you like and also you know very well. After I enjoyed few other songs from this band, I switched styles. For example, Notorious BIG – Juicy (great songs to test the clarity of speakers), Lil’ Wayne – A Milli (basses) or Metallica – Four Horsemen (mids and highs). The sound is clear, crisp and resonant. One thing I noticed about the Betron D51 is that it does get loud, so if you’re looking to power a party with background music or just want to use it on your desk or bedroom, this speaker sounds good at all levels. The D51 is loud enough for small and mid-sized rooms. Even at 80% volume, you have a room full of music. Using the speaker in larger rooms or outside and set the volume over 90% – that is another story. I’m loving to get the volume high and touch the “my neighbors hate me” levels. Betron can handle loud music, but the sound quality is losing the clarity. It seems to me that the speaker lost its breath. Despite this fact, the majority of my listening experience was great. I really enjoy this speaker just for listening. I can’t complain considering how good the sound quality is at low and mid volume. Overall, Betron D51 is really nice and simply designed speaker with a clear and crisp sound that is ideal for small and mid-sized rooms. Put it on your desk, use it in bedroom or pool, take it with you to the beach. D51 will do a great job. But don’t power a party with this Bluetooth speaker. Personally, I’d say Betron D51 is definitely worth to buy. It is offering an awesome value for the money compared to other speakers on the market. 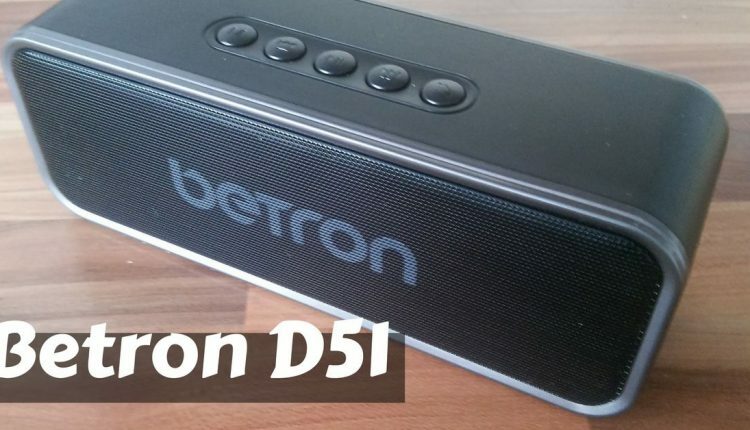 Overall, Betron D51 is really nice and simply designed Bluetooth speaker with a clear and crisp sound that is ideal for small and mid-sized rooms.